Here at ASC Edinburgh Ltd, we are proud to boast an expert in-house team of design engineers, who offer an impressive range of consultancy and design services thanks to their extensive expertise in all major sectors, providing practical and effective designs. We’re able to provide the very best innovative, efficient and cost-effective solution with the use of our computer-aided calculations and AutoCAD, which allows us to draft and design the exact scaffolding you need that’ll fit all of your scaffolding design requirements. We are able to find a solution to any type of project, even those more challenging builds such as confined spaces, complex lifting requirements or heavy loads. As a company, we are also fully compliant to the NASC’s TG20:13 design and operational guide, which outlines our good practice when using scaffolding and that we are completely compliant to the European standard or scaffolding. 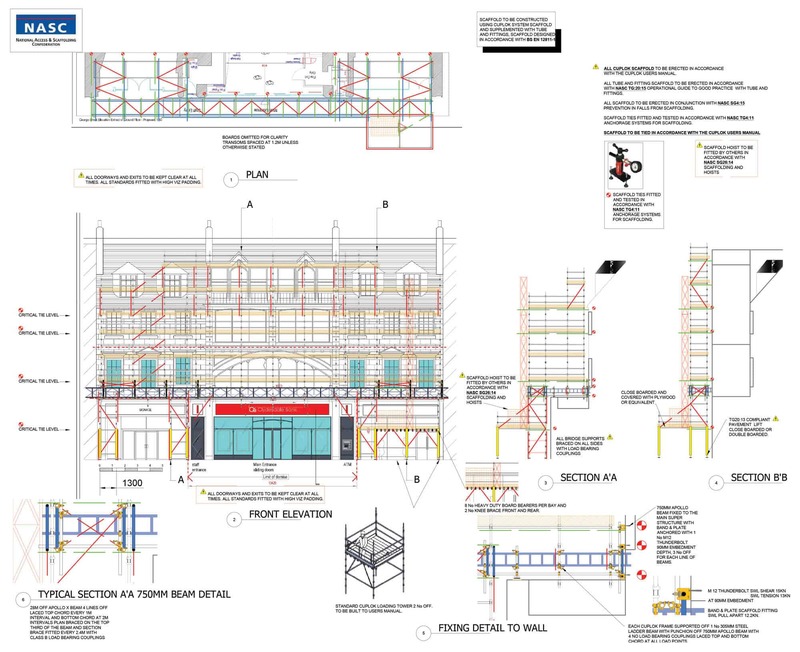 Our scaffolding design service is one which standard out from the rest. If you find yourself looking for an experienced and professional scaffolding design team, who will get the job done properly, throughout Edinburgh, Glasgow or Central Scotland for your next construction project, be sure to get in touch with one of our many experienced team members, who will be able to provide you with all the information you need and provide you with a complete quote on the work done. If you’re searching for an experienced scaffolding supplier Edinburgh, Glasgow or Central Scotland for your next project, be sure to get in touch with a member of the team today, who will be able to provide you with a quote and answer any of your questions. 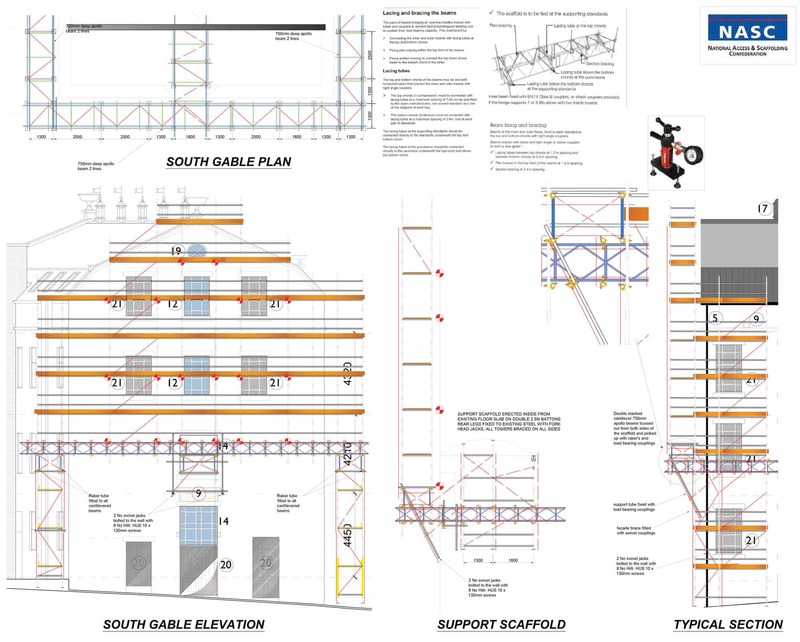 Design Drawings – We can produce 2D construction drawings, which can be used for tender and erection purposes in accordance with the current scaffolding regulations, codes of practice and guidance notes. Supporting calculations – These are produced as a combination of in-house developed software, frame analysis software and the traditional use of pen and paper. Site Liaison – We can meet you on site, to discuss the project at hand and obtain the information we require before starting the scheme. Scaffold Inspection – We can also visit your building site, inspect the scaffolding and provide certification on the scaffold’s integrity. We can provide this either in the form of a report or as simple as a check certificate. Designers Risk Assessment – We can provide an individual risk assessment on your scaffolding, to identify and control any potential hazards. 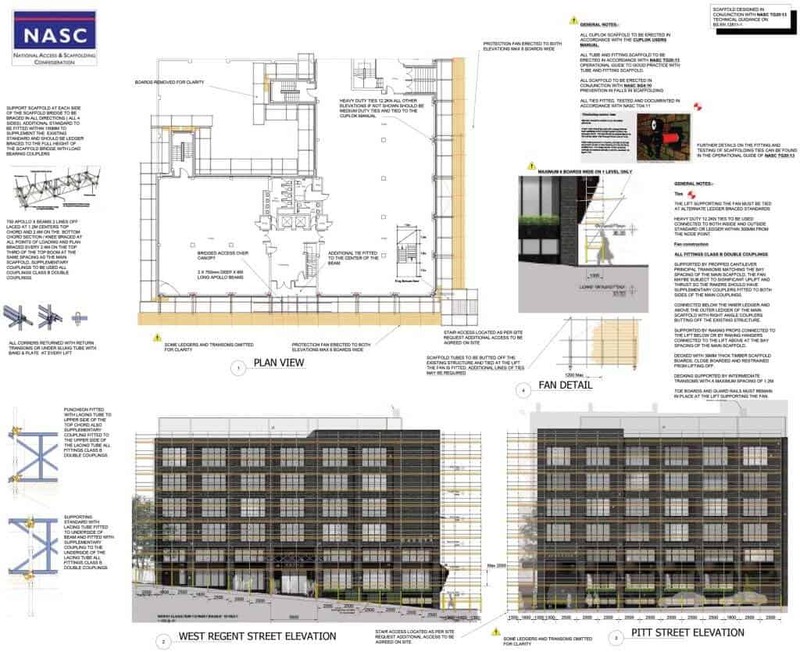 Here at ASC Edinburgh Ltd, we have an outstanding team of designers in-house, which allows us to properly communicate the design requirements of our clients through to the ASC design team. This communication allows us to generate much faster turnarounds for our design drawing and calculation reports. 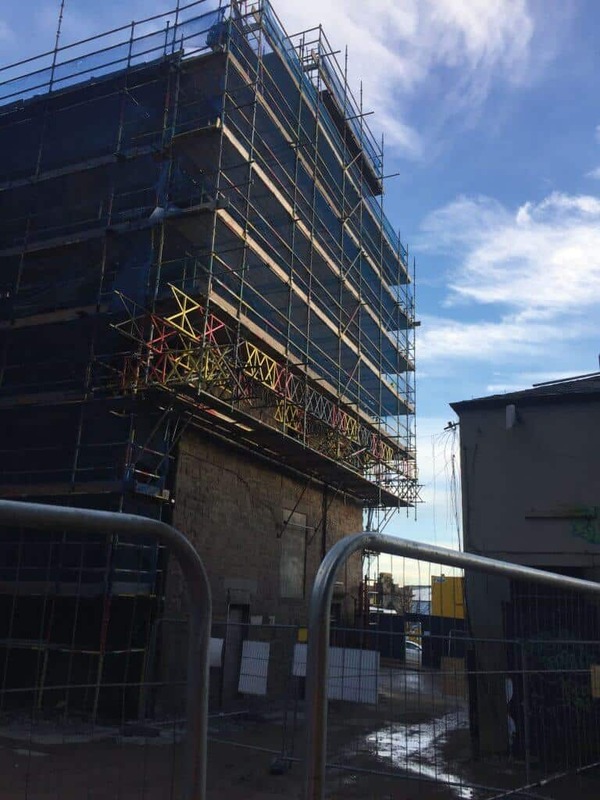 We also have regular external and internal audits on our commercial scaffolding practices to ensure that we are achieving and maintaining our high health and safety goals and targets. 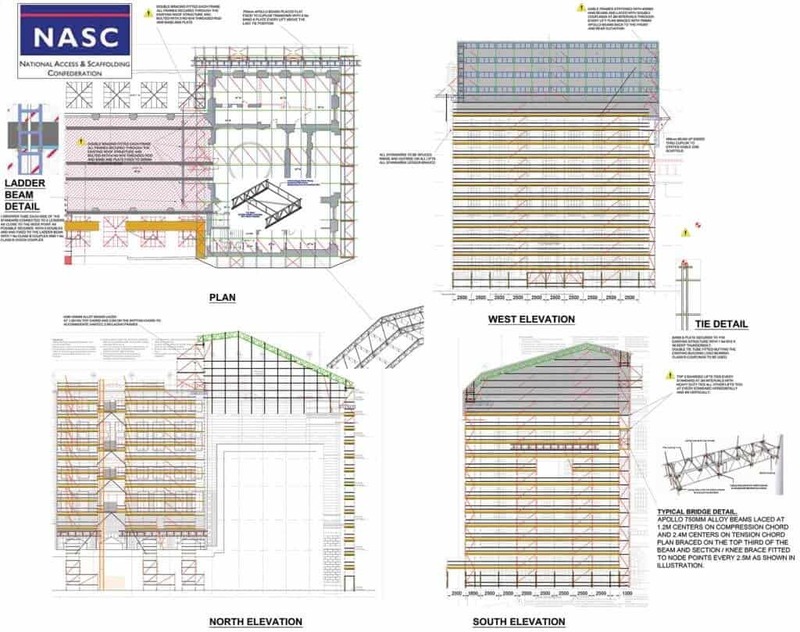 We’re proud to be members of and accredited by the NASC, CHAS, SAFE contractor and Constructionline – giving you the confidence that we are your first choice for scaffolding and scaffolding design, no matter what the project. As a team, we have over 30 years’ experience in the scaffolding trade so if you find yourself looking for professional, high-quality residential scaffolding contractors in Edinburgh, Glasgow or Central Scotland, be sure to contact a member of our team today. We will be able to give you a full quote and discuss any requirements that you need throughout your construction project.